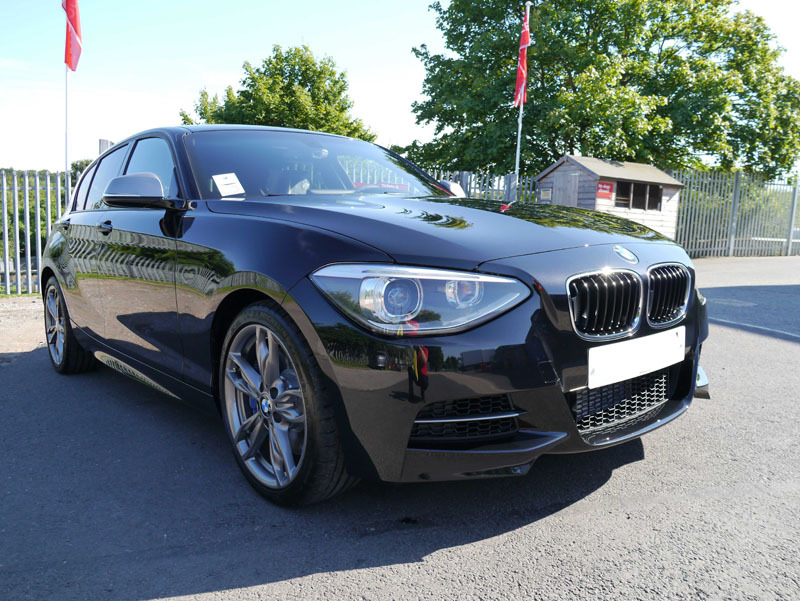 Ultimate Finish has long advocated protecting new cars right from the start and this customer was determined to make sure his brand new BMW M135i received the best. With the customer being based overseas, UF collected the car from BMW’s distribution centre and brought it to the Ultimate Detailing Studio for a New Car Protection Treatment. To start with the car was treated with Bilt-Hamber Korrosol to remove any iron contamination – quite often new cars are stored next to railway sidings prior to delivery to the dealerships causing iron particle contamination. Then Valet Pro Citrus Tar & Glue Remover was used to take off the last residues of transportation wax and the whole car degreased using Bilt-Hamber Surfex HD. The boot, bonnet, door shuts and wheel arches were also treated with Surfex HD, then the whole car rinsed. Ultimate Snow Foam and a pressure washer with a Snow Foam lance covered the car in a thick foam to remove any larger particles of dirt to ensure no scratches were inadvertently put into the paintwork during the main wash process. 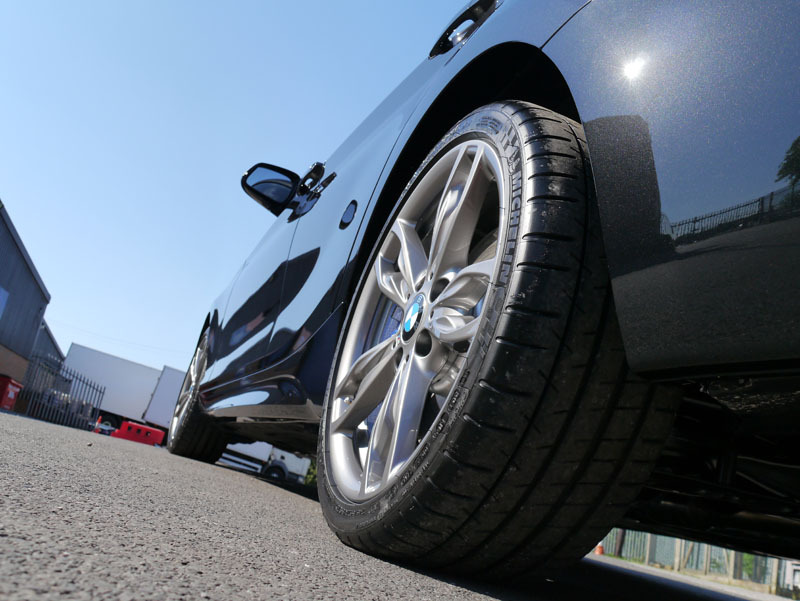 The BMW was then rinsed with a pressure washer before Valet Pro Bilberry Wheel Cleaner was applied to the wheels, agitated with a brush and then rinsed away. 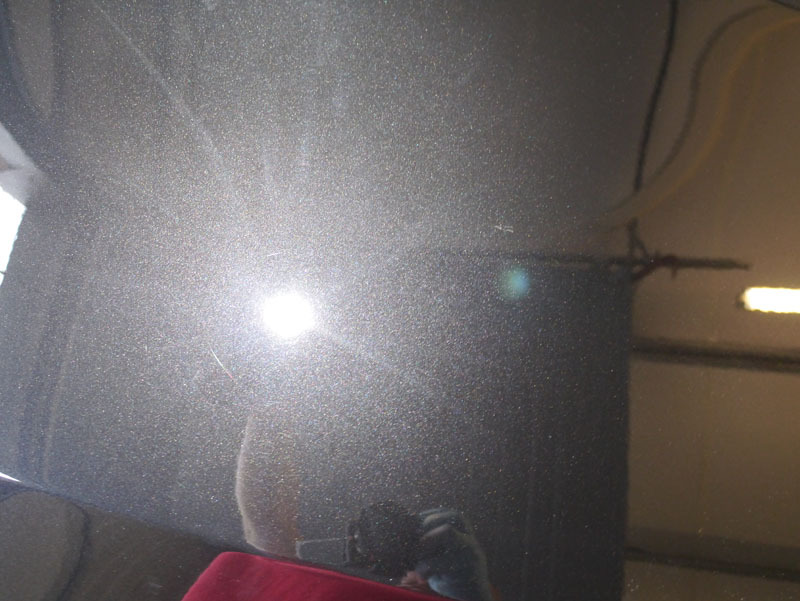 Using the Two Bucket Method the whole car was cleaned using Gtechniq G-Wash and a Microfibre Madness Incredimitt – a thick wash mitt with long microfibre ‘noodles’ which remove dirt and trap it away from the surface of the mitt. This makes it safer for paintwork with less chances of introducing scratches. 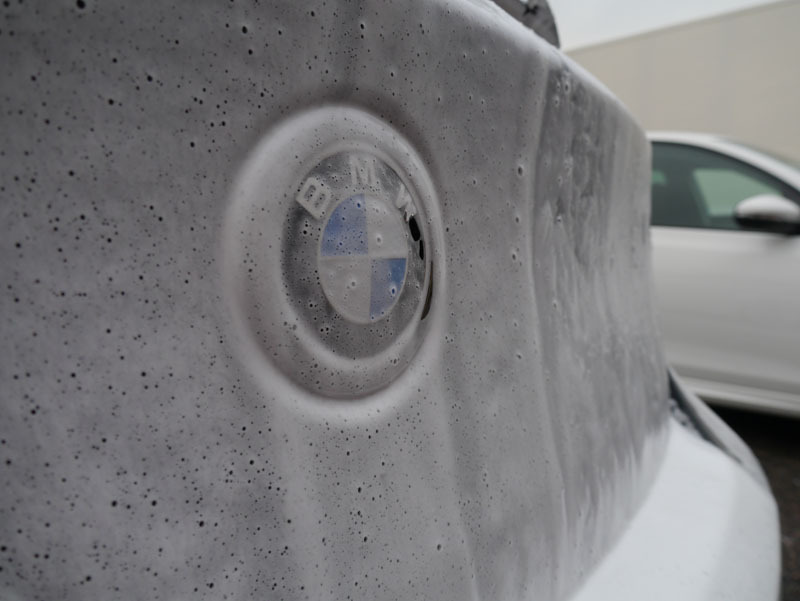 After rinsing, the BMW was then given a final rinse using an Aqua Gleam pure water system and patted dry using Swissvax Micro-Dry Wonder Drying Towels. Using Dodo Juice Basics of Bling Clay Bar and Born Slippy Clay Lube, the whole car was clayed to ensure any remaining contaminants were removed. Using a FLEX PE14-2-150 Rotary Machine Polisher, a SCHOLL Concepts Black SofTouch Waffle Finishing Pad and SCHOLL Concepts S40, the areas containing holograms were refined to restore the paintwork to its original factory condition. The rest of the bodywork was finished by hand with S40 on a SCHOLL Concepts Black Hand Puck applicator pad. The bodywork and wheels were then cleansed using Gtechniq Panel Wipe to ensure any polish residues and oils were removed in order to allow the sealant to bond completely for maximum effectiveness and durability. To seal the bodywork, Gtechniq EXO was applied twice, allowing enough time in between coats for the EXO to cure. 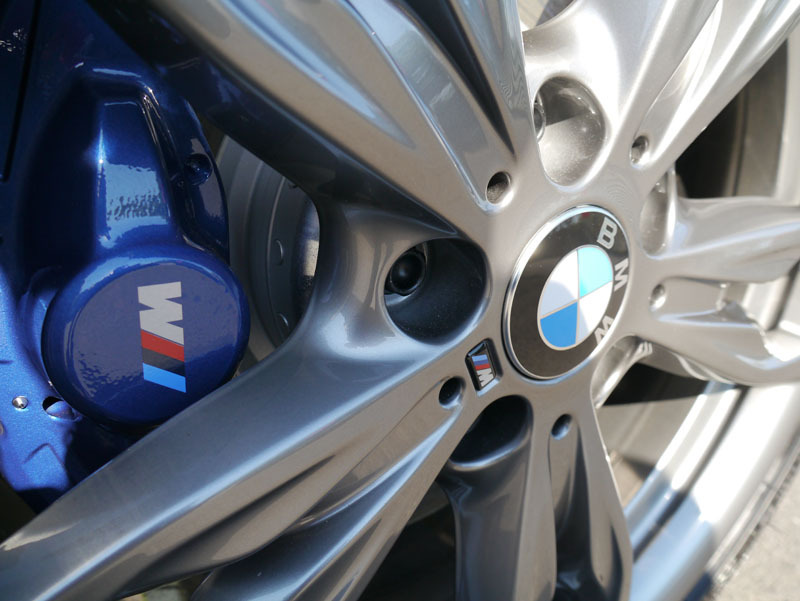 For the wheels, Gtechniq C5 Alloy Wheel Armour was applied. C5 forms a highly durable, heat resistant barrier protecting wheels from brake dust build-up and making them easier to maintain. Exo V2 has a very high level of shine, particularly for a glass coating, so it was the ideal choice for metallic black paint. 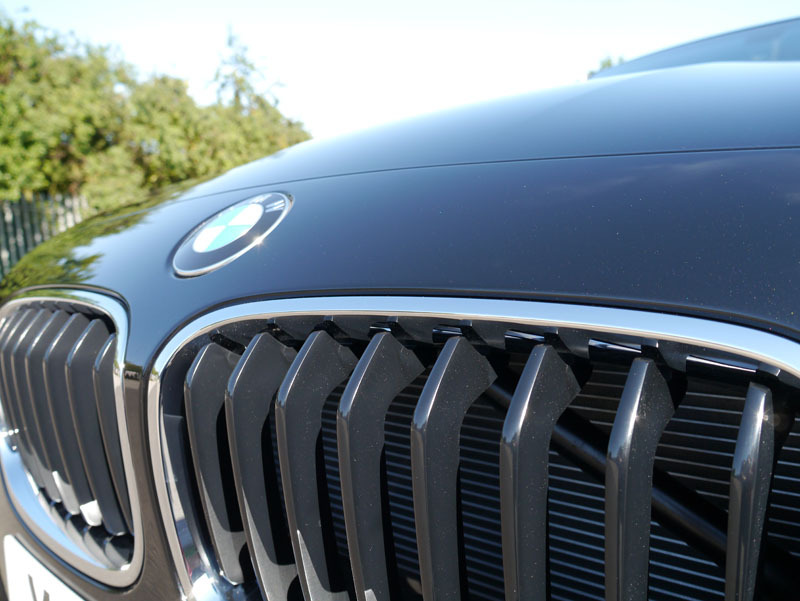 The slick layer repels dirt and water, so the car will be much easier to wash. It’s also resistant to industrial fallout so it lasts a very long time. – Master Detailer, UDS. The glass was cleaned using Gtechniq G6 Perfect Glass and sealed with G1 Clear Vision Smart Glass, a hydrophobic sealant which aids dispersal of rain, making for easier, safer driving during difficult weather conditions. 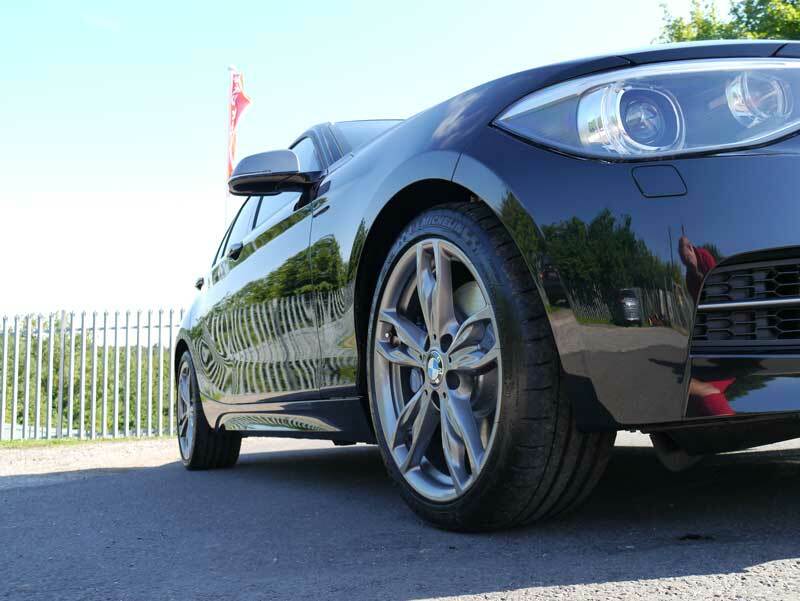 Our customer was keen to get the very best depth of shine possible and requested an additional layer of Swissvax Crystal Rock, a luxury wax with a very high carnauba content. With the New Car Protection Treatment now complete, UF delivered the car to the customer who was extremely pleased with the results.